This Original Lexmark 36XL (018C2170E) Black ink cartridge uses genuine Lexmark ink to generate optimum print quality using ink that is fade resistant. 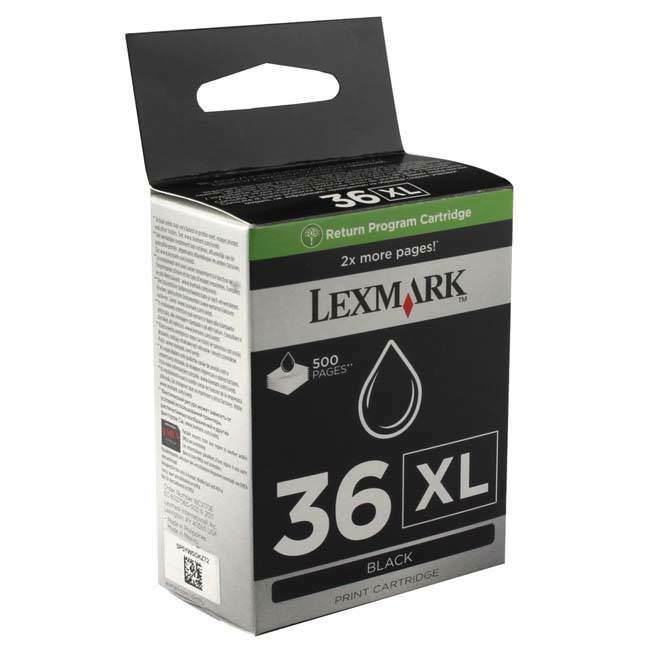 This Lexmark 36XL cartridge has been filled by Lexmark with their exclusive pigmented Black ink, this coupled with the number of print head nozzles enable you to print high quality text and graphic documents at high speeds time and time again with no hassle. This Original Lexmark 018C2170E High Capacity Cartridge offers a massive 475 page yield which is 300 pages more than the standard capacity version meaning more prints for your money. All of our Original Lexmark 36XL Black ink Cartridge's come with our 100% satisfaction guarantee. All prices include VAT and delivery so the price you see is the price you pay.